I hear lots of people say, “I don’t know what to publish on Instagram” and they’re frustrated. I believe there are 3 kinds of social media marketers who know what to post on Instagram. 1st is the creative one. Think about a great photo that you just saw on a brand’s page. There is something creative behind that post. There is a person who is known in their community for the great ideas. The 2nd type is the smart one. This is the person who knows where to find an answer for a problem. What hole to dig to get to the treasure. Some may say that they are creative too, but not in the artist’s way. But what if you are not a creative person or a smart person? You are the 3rd type. The one who reads this article and finds the path to get inspired for the next post on Instagram. You grab the opportunity to get seen by a community of 600Million users. This is an article for every social media marketer who is struggling to find inspiration for the brand they ‘re managing, starting to develop your visual content strategy or just want to build your personal brand. When your best friend’s birthday is here, you know what present to give. Why? Because you interact with your friend almost daily, talk with him, ask favors, help when in need and have a relationship. This is the relationship you should have with your audience. Create a strong relationship to understand their needs, their wants, and what to create for them. Build a strong bridge between them and you. For many of you, this is obvious. But there are a lot of social media marketers who don’t understand their audience and publish on Instagram randomly. How do you understand your audience? Talk with them. Send an email asking what they’d like to see on your Instagram account. Create a survey using an app like Hotjar or Pollsnack. Another simple way to understand your audience is to read their comments and reply. Create a description and ask for comments on a topic that’s directly related to the post. With Instagram Stories you can create a strong relationship. Ask them to message you about their interest in your industry or product. What do you want from your Instagram audience? Create a strong purpose why you are posting on Instagram and what you want to achieve. There are brands who want to drive more web traffic using Instagram, brands who want to sell more products or services or brands who want to have a strong community to engage with. The last step (but not the least) to find inspiration on Instagram is to have a strong strategy related to your business and your purpose. It’s just like a basketball game. Yes, you want to win the game. Yes, you know the rules to play basketball and what you have to do. But you’re competing with another team and sometimes with yourself, so you need to understand your strategy to win the game. It’s the same on Instagram. Having a strategy helps you get to the purpose. But now that we know these 3 simple steps, what needs to happen to publish posts that people are likely to love, engage with and trust our brand. This is the strategy I tried and is working very well. See what kind of content do they publish. How these photos and videos look. Is it about landscapes, is it about their families, their hobbies or other pictures. See who they follow. More than that, what kind of accounts do they follow. For some of you this maybe research and for some this may be something you do in a regular basis. I believe that a smart marketer should do this every time they have the opportunity. Because we live in a culture where people follow and unfollow brands every day. Competition is good for business. This is why Apple needs Microsoft, why Google needs Facebook, why Audi needs Mercedes, why Facebook needs Snapchat and the list goes on and on. I believe that we all need competition in our industry. I believe that we all need competition in our industry. To set the standard and force the brand to create something useful for the customer. For our purposes, competition is good to see the type of content our customers engage on. Maybe the competition creates more videos, but the user doesn’t with them. Or maybe they create a certain type of photo and you can see hundred of comments. This will help you get the right influence for your next post on Instagram. How do you get inspiration for your competitors? Easy. You don’t have to follow them. You just have to look at their accounts and see which posts engage the most users. Unfortunately, you can only see likes and comments to a post. But this is enough for your research. Create a spreadsheet with your competition name, copy/paste the link to the post, the hashtags it uses, how many likes and comments they have. After 30 posts, you look at the entire spreadsheet and see which post has the most comments and likes. Look at them and start creating a better content for your brand. This is something you won’t read in an article about getting inspiration for Instagram. I found that magazines are a great way to find inspiration for many topics. It depends on the industry you work in. Look for the top magazines and read them. You can learn a lot from this type of content for your Instagram game. Flipsnack developed a feature where you can search for magazines and ideas for your inspiration. Think about the covers of the magazines from your industry. What kind of images do they use? What kind of titles do they use for their stories? There are plenty of fashion industry magazines that can help you get the right inspiration for your next Instagram post. On the Flipsnack blog, I found a post with the best magazines Instagram accounts to follow (this is a gold mine for inspiration). Here you are the 3 ways to get inspiration for your next Instagram post. Inspiration is everywhere, you just have to open your eyes and see your next big idea. Another simple tip: go outside and see how people in your niche behave. What car do they drive? How do they interact with your brand? Where do they shop? Now back to you, where do you get the best inspiration for your Instagram posts? Robert Katai is an expert on Instagram. 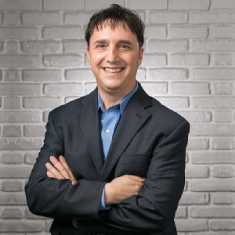 Robert is a Visual Marketer, Blogger and Brand Evangelist Bannersnack. Passionate about visual marketing, Instagram, content marketing and always up to date with the latest trends. Great tips! Will try them for sure! Thank you for sharing with us! Another great inspiration source for Instagram is their ‘visual competitor’ Pinterest. There is plenty of content there that can inspire anybody. LOOKING FOR AN INSTAGRAM TOOL?